Based in KwaZulu-Natal, Uzwelo creates really beautiful bags for a range of purposes – from tablet and yoga mat covers to beach bags. What makes them especially cool, is the fact that all the bags are made using waste fabric that would normally go into landfills and hand-crafted by previously disadvantaged women who are now entrepreneurs. “We have a team of 3 trained ladies from iBhungezi/Philangethemba Trust (Molweni-Valley of 100 hills) 3 ladies at the LIV Village, and 2 ladies from iThembalethu (Cato Manor). Each one of these are now producing bags and earning a living that puts food on the table for their families, funds education and provides dignity and upliftment for their communities long-term,” reads the About section on the site. 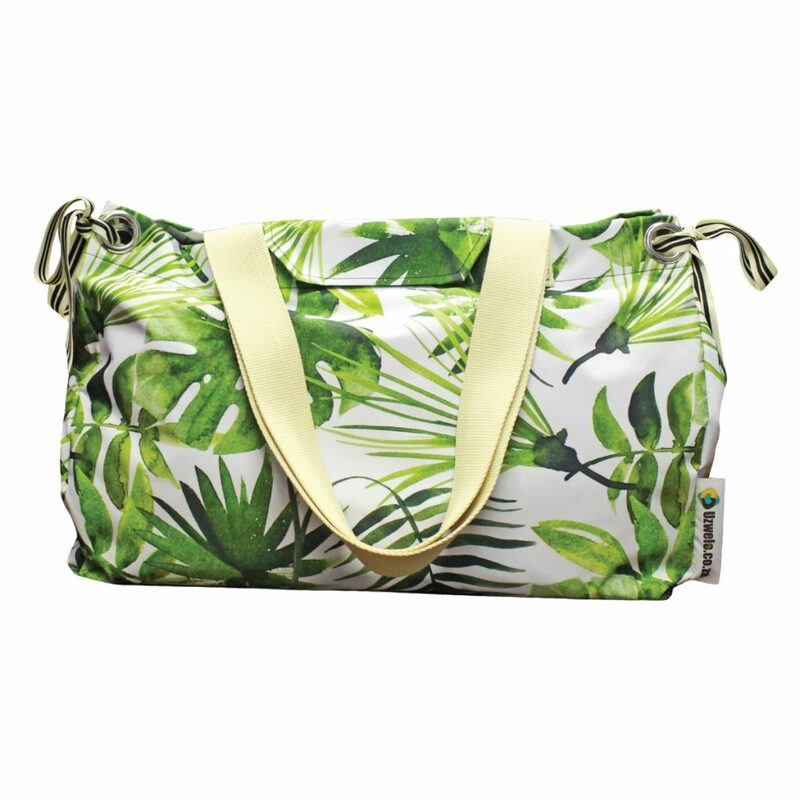 My personal favourite: I was eyeing The Tropical, custom-made beach bag with the beautiful leafy pattern (pictured above). My only gripe is that it closes with velcro and not with a zip. Not ideal for running through airports or being checked in. Where to buy: Uzwelo websiteYou can buy them on the. If you’re looking for a sturdy bag that can take a bit of a beating, Red Mountain is probably the way to go. I stumbled upon the brand on Takealot and discovered that the bags are made right here in Landsdowne, Cape Town. The factory opened in the early 1980’s and was first known as Sunhopper. A few years later they started manufacturing bags under license from Karrimor UK. However, they parted ways with Karrimor in 2005 and now produce a 100% proudly South African product. From what I can gather from the website, they treat their staff very well and aim to work as ethically as possible. 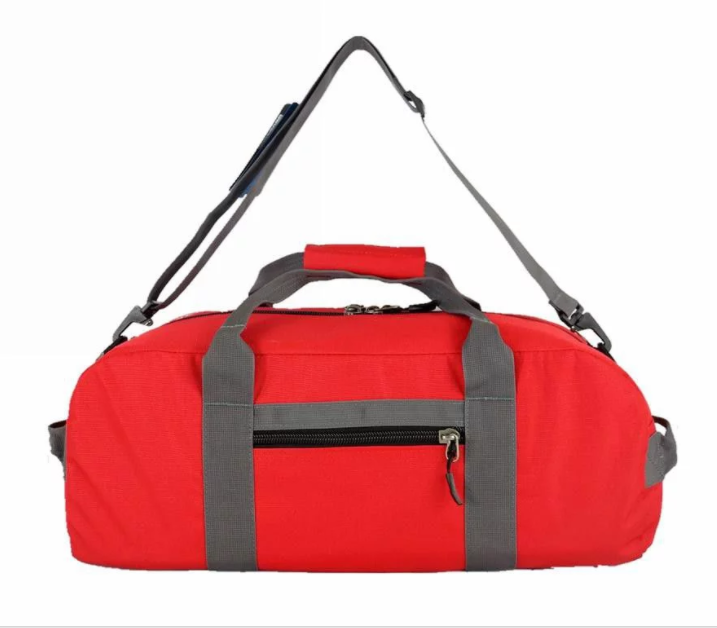 My personal favourite: It’s very likely that I will end up going for the Cargo Duffel 30 (pictured above). It seems like the type of bag that can really go everywhere with you. It’s water resistant, has heavy-duty zips and a few document pockets that also zip closed. Plus, I like the red! Camp Cover was developed to supply quality and robust protection covers and storage solutions for the 4×4, outdoor and camping industry. They produce a luggage range that is practical and functional, with attractive details. 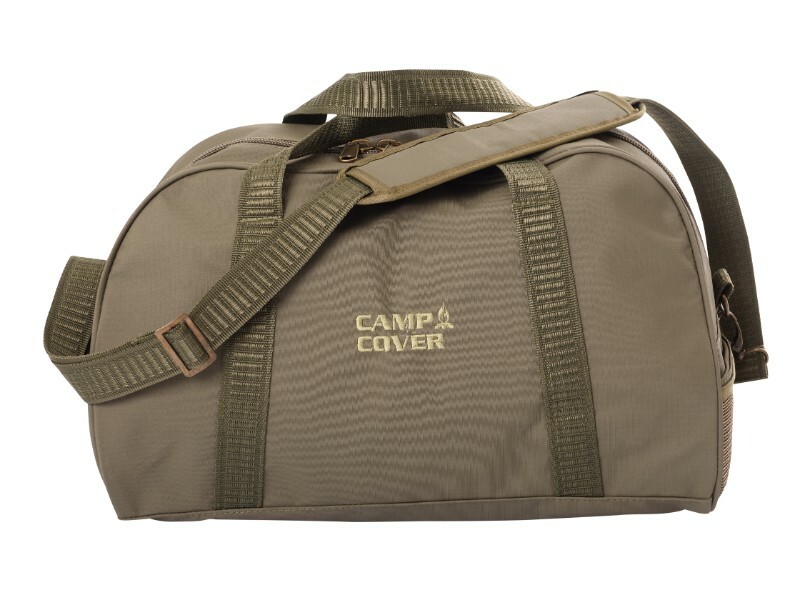 Imar and Tamara have a Camp Cover weekend bag that they swear by, so it’s also strongly in the running for my purchase. My personal favourite: I like the look of the Sport Bag 37 Litre. The rounded shape is quite cute and all the finishings (zips, straps and lining) seem to be really great quality. Where to buy: You can buy on the Camp Cover site or in-store from one of these outlets. Made in Cape Town from hemp & organic cotton, I feel like Hemporium is probably the most environmentally-friendly on this list. Their products are also all really, really attractive. They don’t have a huge luggage range, but there are a couple of pretty totes, toiletry bags, a backpack and cool belt holsters. 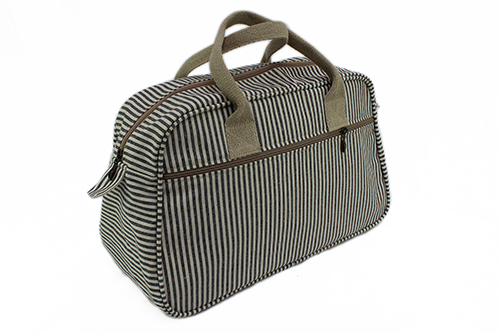 My personal favourite: I absolutely LOVE the look of their Hemp Travel Bag – it comes in a few different colours, but I think the stripey one is the best! I would buy it in a heartbeat, but I’m just not sure if it’s quite big enough for my purposes. Where to buy: On the Hemporium site or at one of their stockists. We all know leather products can be ridiculously expensive, right? Well, Rust & Revenge has made it their mission to provide high quality, genuine leather bags at an affordable price. 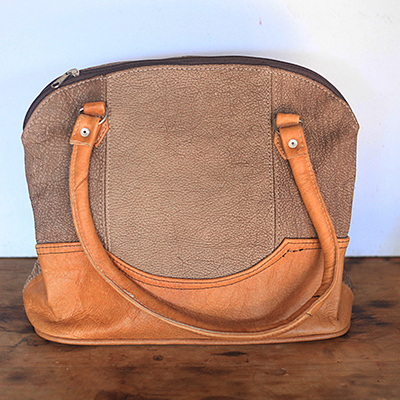 All the bags are handmade in South Africa by men and women in local communities. They don’t really do luggage at this stage, but there are a couple of larger handbags that could double as an overnight/weekend bag. My personal favourite: The Wolverine seems to be best suited to my purposes. If you’re looking for a truly beautiful piece of genuine leather and canvas luggage that’s going to turn heads wherever you go, CHAPEL is your answer. The timeless designs are dreamed up by founder, Caleb Pedersen, and hand-made in their Woodstock studio. CHAPEL has been around since 2009 and they guarantee that their bags are strong, dependable and made from the best materials. “Owning one of our bags is a lifetime commitment, so put it in your will,” says the site. 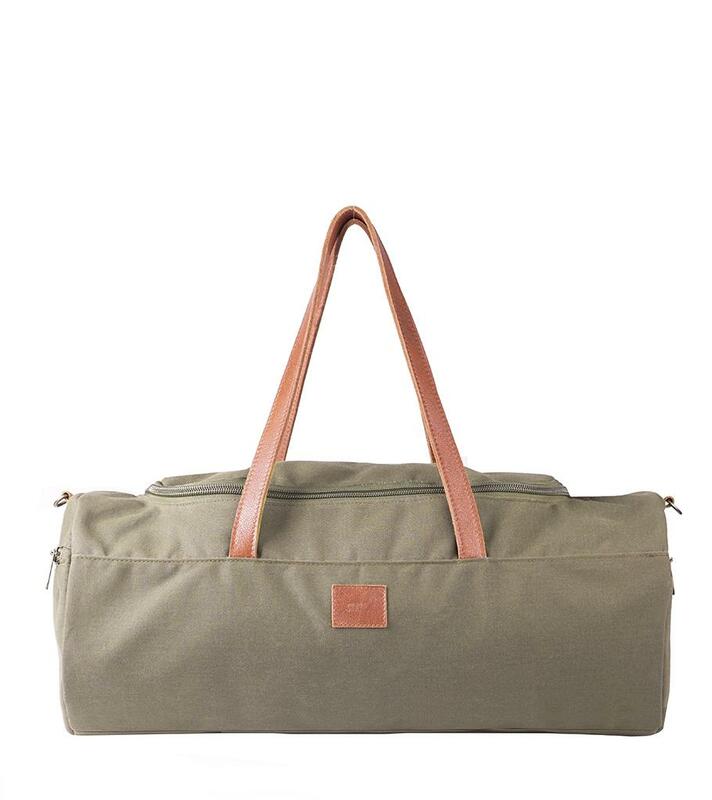 My personal favourite: I’m in love with the Sahara Duffel and seriously considering the lifetime commitment. Where to buy: CHAPEL website or at one of their stockists. 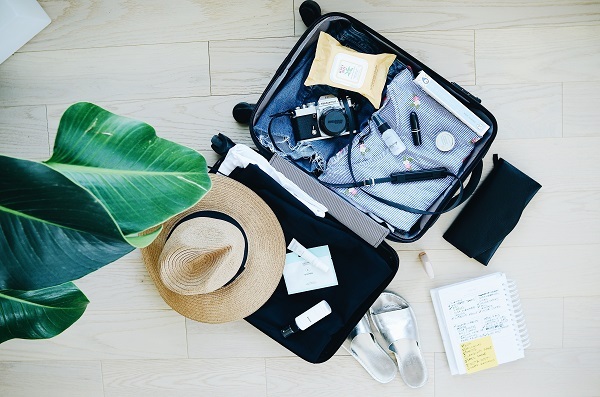 Also Cape Town-based, Rowdy is another manufacturer of superb leather bags and luggage. In fact, I’m the very lucky and proud owner of one of their beautiful rucksacks that has been serving me well for a good four years and will continue to do so for many more. Rowdy specialises in simple design with quality trimmings that will also last forever. 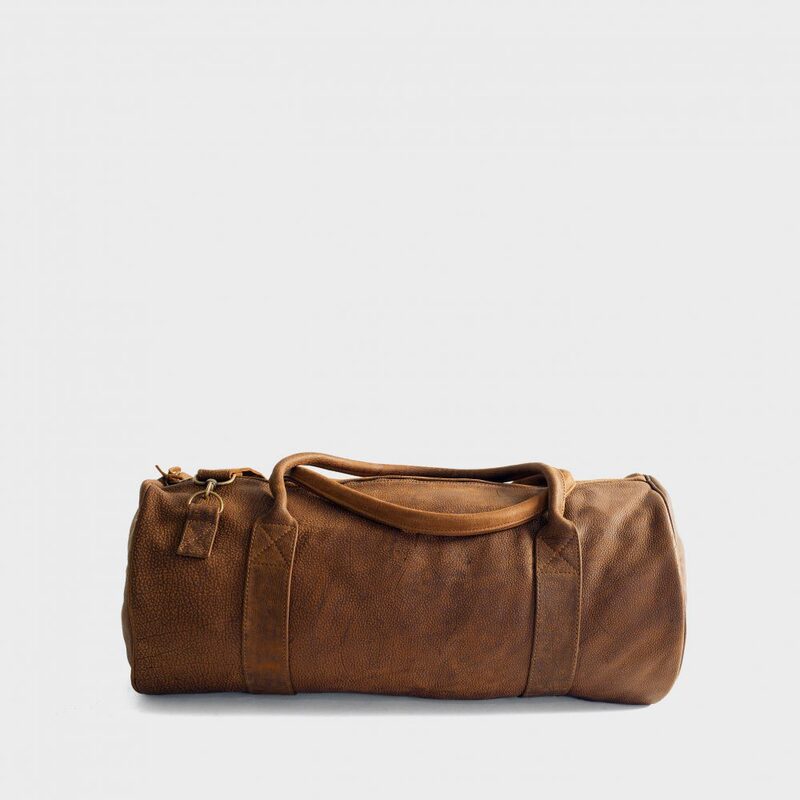 My personal favourite: The Worn Brown duffel bag is really beautiful. It just seems like it might be rather heavy. I also adore their totes! Where to buy: Rowdy website or at their studio in Woodstock. Did I miss out on any other locally-produced luggage? Tell me in the comment section below!